In the game, one player draws a Mask Card and must then mime out the face on the card. Other players must try and guess which mask is being mimed out. If they guess right, then both the mime and the player who guessed correctly get a point. The player with the most points at the end of the game is the winner. 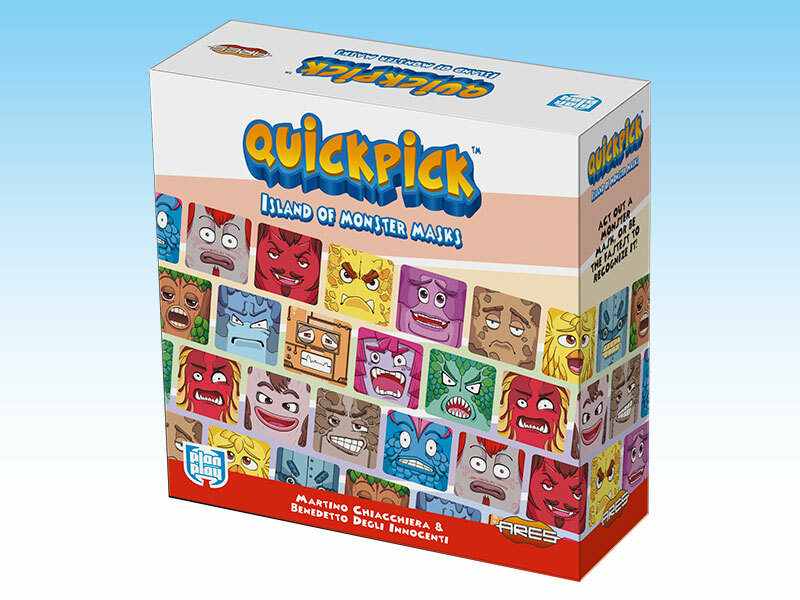 Quickpick: Island of Monster Masks is designed for players age 4 and up. So it's great for family play. The game will be released in October, with copies available during Essen Spiel.